Wellcome to the sun and sea, welcome to Dalmatia! 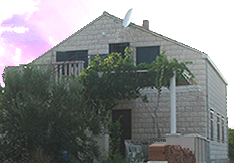 Apartments Duka, situated in Lumbarda, on a beautiful island of Korcula offer two high-standard apartments. Both apartments combined sleep 11 adults, 5 in the upper and 6 in the downstairs apartment. Getting away from the hustle and bustle of the city has never been easier since Lumbarda is a quiet Dalmatian village. 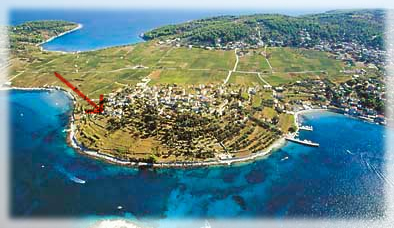 But if you still feel the need to go out on the town, the city of Korcula with numerous bars and clubs is just 6 km away. 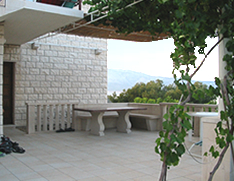 Apartments are located only 40 meters from the coast and offer an amazing view of the bay and its small islands. If you are more of a sandy beach type, the nearest one, called "Bili �al" is only 100 meters from the apartment. The center of Lumbarda, where you'll find the market, shops, restaurants, the post office, newspaper stand and an automatic teller machine for all that spending is just a 10 minute walk away. Apart from the many sandy beaches, where your children can play, Lumbarda also offers secluded bays and beaches as well as a nudist beach. Not far away you can find a lighthouse where you can try your luck at fishing or go sea diving. Because of the Maestral wind, afternoons are perfect for surfing or flying a kite.